Xel-Há is a water park in the Riviera Maya. It is located in a beautiful natural area that has a unique environment with inlets, lagoons, and cenotes, making it a natural aquarium, and an ideal place for snorkeling because there is a huge variety of underwater life in this special ecosystem that has both fresh and seawater. Although snorkeling is the main activity here, there are many other activities you can do at Xel-Há, including floating down a river in an inner tube, swimming in a cenote, relaxing in a hammock, or taking a nature walk through the jungle. You can also visit the park's newest attraction, a scenic lighthouse that you can climb up to enjoy wonderful panoramic views of the surrounding landscape from 130 feet high, then choose one of four water slides to easily (and quickly!) make your way back down. Xel-Ha allows you to enjoy a beautiful natural environment with all the creature comforts of changing rooms, showers, lockers, delicious food, and comfortable spots to rest. This popular attraction can be visited on a day trip from Cancun or anywhere in the Mayan Riviera. 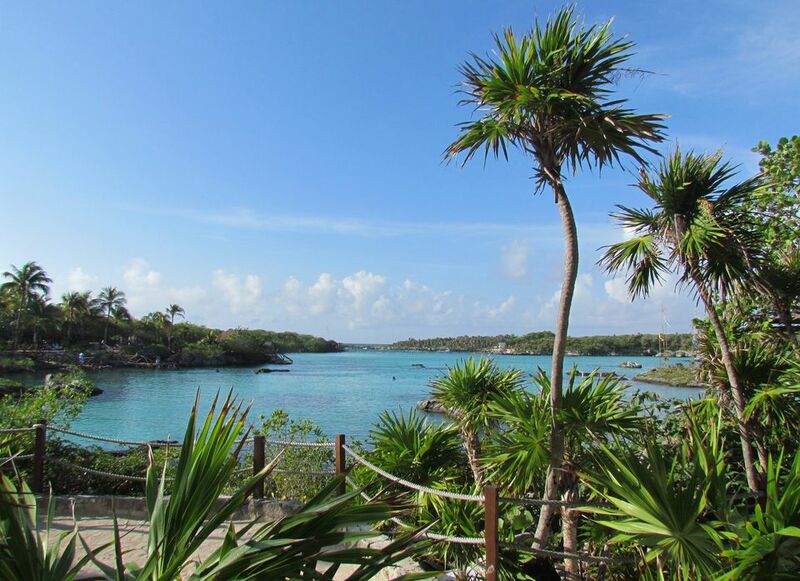 Xel-Ha has been certified by EarthCheck for its sustainable tourism practices which include treating water at a treatment plant on site, recycling 80% of the park's solid waste, and the park's groundbreaking program for producing, rescuing, and reforesting native plants. Xel-Ha also participates in conservation programs to monitor and protect queen conches and sea turtles in collaboration with other agencies. When you visit Xel-Ha, you should wear comfortable shoes and take a bathing suit, change of clothes, and a camera (an underwater camera is ideal). Conventional sunblock is not permitted because it can be damaging to the water ecology. Xel-Ha has a sunblock exchange program: At the entrance to the park, you can trade in your regular sunblock for a day's supply of eco-friendly sunblock. You can also purchase 100% biodegradable sunblock at various locations in the Riviera Maya. Xel-Ha and many local tour companies offer packages that include transportation, and some also offer visits to other sites as well as Xel-Ha in the same day. You can get a bus to Xel-Ha from Cancun or Playa del Carmen. The bus from Cancun leaves from the ADO bus terminal in downtown Cancun on Calle Pino. The bus from Playa del Carmen leaves from the base located near the dock at Plaza Marina Mall #41 and 42, Centro Muelle. Xel-Ha is open every day of the year from 8:30 a.m. to 7 pm. There is plenty to do for a full day in Xel-Ha, but visitors with limited time may choose to combine their visit with a trip to Cobá or Tulum archaeological site. The "All Inclusive" admission fee includes access to the park, meals, snacks, and non-alcoholic drinks, use of snorkeling equipment, locker, and towel. Other package options may include transportation and include visits to other locales. The basic "All-Inclusive" admission fee to Xel-Ha park is half price for children aged 5 to 11 and free for children under five. For children who are under 12 but taller than 55”, bring a proof of age in order to receive the child discount. For more information, see the Xel-Ha website, which offers discounts for reserving tickets online in advance. Optional activities that are not included in the regular admission fee include swimming with dolphins, a manatee encounter, SeaTrek, Snuba, stingray encounter, and more. These activities entail an extra fee.